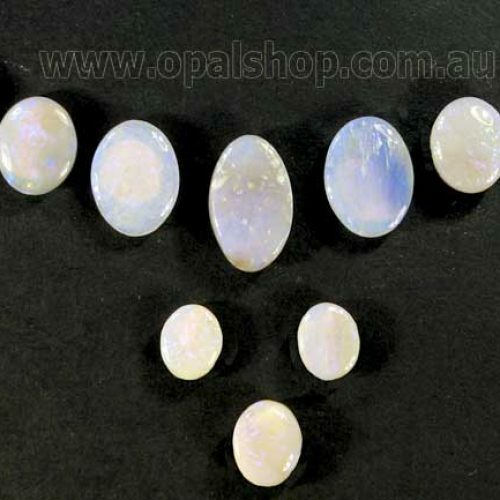 Here we have grouped cut and polished natural Black Opals that match to form a set for a necklace, and in some cases, earrings as well. 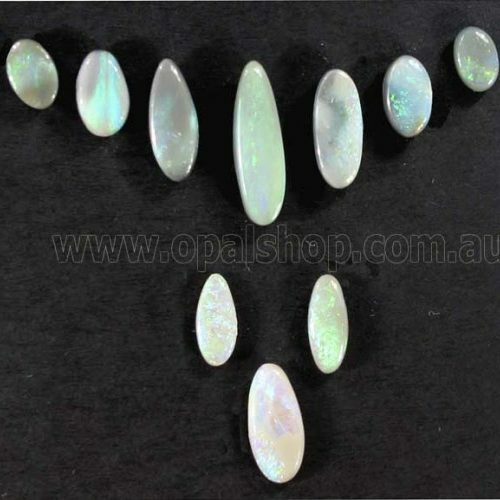 These are ready to be used by a Jeweller or Creative to make amazing pieces with matching stones. If you would like to discuss a custom set, feel free to contact us.